One of my favorite things about February is that flowers are everywhere. And about February 15 they all go on sale. People usually equate sending flowers as a romantic gesture or something you do when someone is sick. These are pretty specific + (hopefully) rare instances. Recently, I have noticed a new trend of sending flowers that I think we should all jump on: sending them to friends #GirlPowerFlowers. I think this is a beautiful sentiment. When a friend has a birthday, gets a promotion, or just had a bad day, sending them a floral arrangement can make their day. I know it would make mine. Who says you should only receive flowers from a partner? There is nothing distinctly romantic about them. They’re pretty, they smell amazing, and they add a pop of color to any room. They’ll also make your friend feel special + appreciated. So why not make their day by sending them something beautiful with a sweet note? Flowers may not last as long as a photo or bracelet, but they are a great way to show you care + to add a little extra beauty to your friends’ lives. They’re are especially great for long distance friendship (of which I have many) when you can’t be there for special occasions. They don’t have to be fancy or expensive, just a reminder that you care. I’ll be taking my own advice + sending flowers to a friend very soon. I hope you’ll do the same. And fellas, don’t be shy sending your lady arrangements more often, she’ll definitely appreciate it. 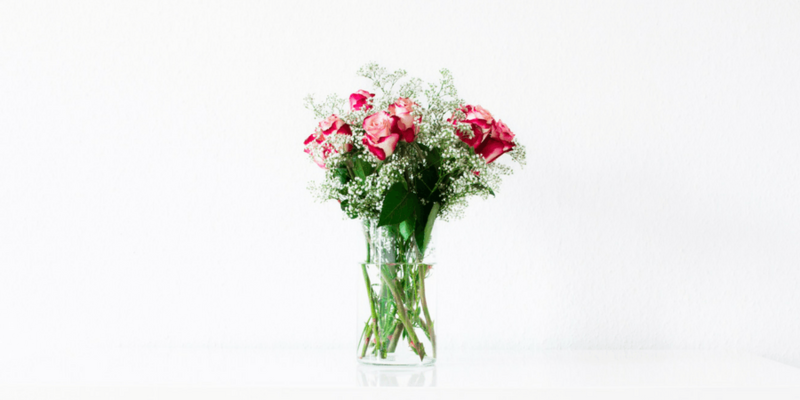 You can grab a basic bouquet at your local grocery store for around $5. Stay tuned for a contest to win free flowers for one of your tribe members. Enter here. would love to send flowers to my friend Gabby – she was so great during my weddign process, and helped to plan my bachelorette. she recently moved and just bought a house! what a way to congratulate her than with flowers! Such a sweet reason, Angie!